It can be a struggle to decipher the coffee menu before you’ve actually had your coffee. We get it. Want to understand just what exactly you are ordering at your neighborhood café? Or fancy specialty coffee shop? Filtré: Filtered coffee, also known as café américain. It will not be refilled, except if you go to Sugarplum Cake Shop. 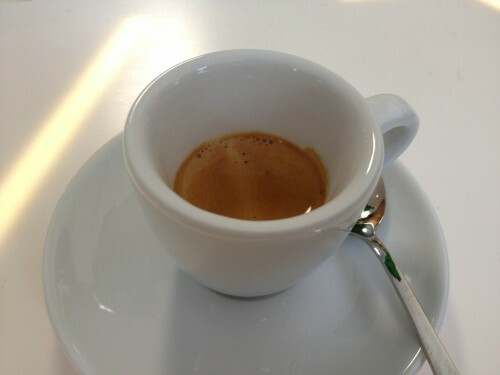 Noisette: An espresso with a spot of cream. It derives its name from the French word for hazelnut because of its color. Café crème/Cappuccino/Café Latte: Milky coffee, plain and simple. Your average café will rarely differentiate between any of the terms. These drinks will be espresso-based with a large proportion of milk, and the milk at your average place will be sterilized, shelf-stable, and slightly chalky. The price will be more expensive than an espresso. Cappuccinos typically cost slightly more than a café crème, will taste generally the same, and often come with cocoa powder or whipped cream on top. We’ve never seen a Parisian order one. It’s popular among visitors, and priced accordingly.